You can count on Alexandria Yellow Cab taxi service near my location to take you from Del Ray to Falls Church, West End, Arlandria, Cameron Station or wherever your business or leisure takes you in Northern Virginia. The fleet of top line vehicles is ready to transport you to the desired destination. Book your taxi ride today with your mobile widget or online booking application. Our company delivers excellent services, 24/7, 365 days a year, at budget-friendly rates. 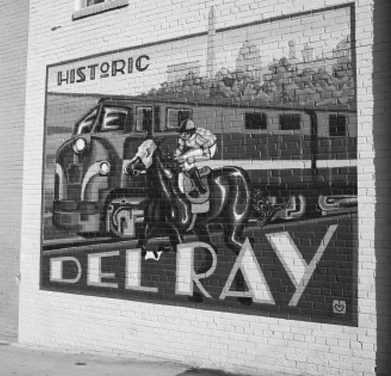 The community of Del Ray was founded in the late 19th century and grew up around the railroad. It could be considered as one of the first commuting suburbs in the area. This is a neighborhood where you go to visit local shops and eateries that are shamefully good. It is a place “Where Main Street Still Exists”. Stomping Ground is an ideal place for breakfast and it has some of the best biscuits in Washington. If you are into rare cheeses, raw honey and craft beers stop by at Cheesetique. Wine lovers should visit Planet Wine shop which has an impressive selection of nearly 2,000 wines and craft beers. This is the perfect place for wine lovers with an appetite for weekly tastings, classes, and dinners, and in case you need somebody to drive you back home, remember – you have your favorite taxi company nearby, at all times. There are also many cultural and charity events in Del Ray. On the first Saturday of October, the Art on the Avenue festival gathers more than 300 arts-and-crafts vendors onto Mount Vernon Avenue, and every spring the MV Big Flea, a big fundraiser, which supports the Mount Vernon School’s PTA, takes redundant household items and turn them into money for the mentioned school. Choose our point to point, hourly or round-trip service, and you don’t have to worry about transferring all those freshly bought goodies home. With Alexandria Yellow Cab, any kind of travel is a breeze, no matter if you’re going to the airport, business meeting or some special occasion.